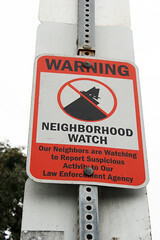 Neighborhood watch on N. Beacon? Photo by Quinn Dombrowski via Creative Commons. Anyone have any information? Comment here or in the forum.